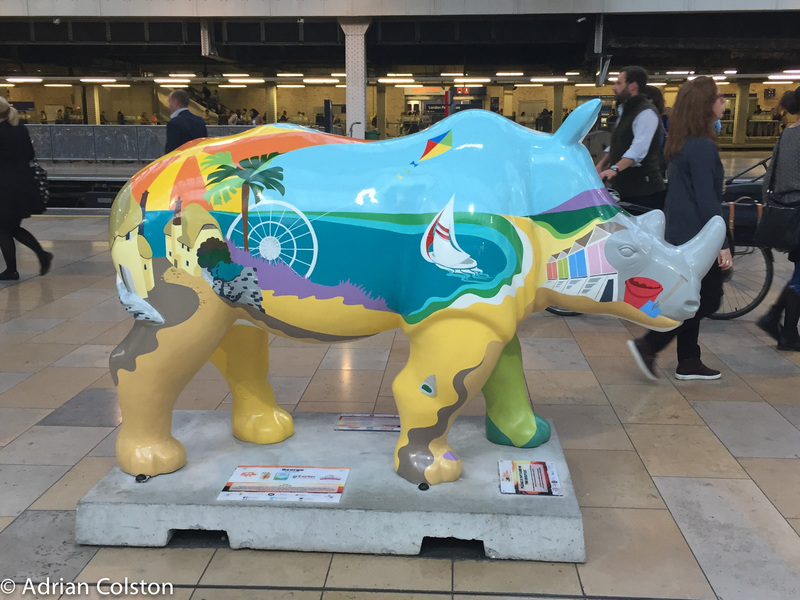 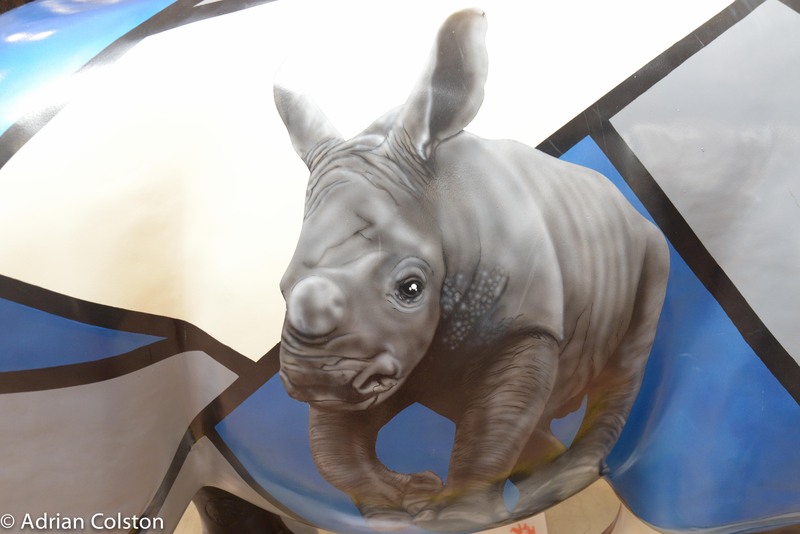 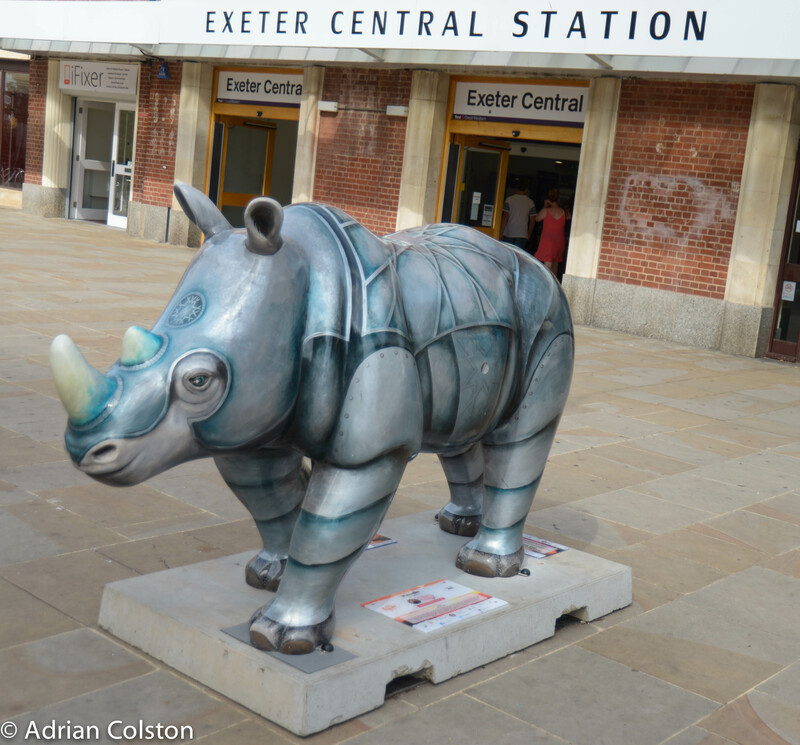 Not only are there rhinos in Exeter (see here) and in Torbay – there is also one at Paddington Station. 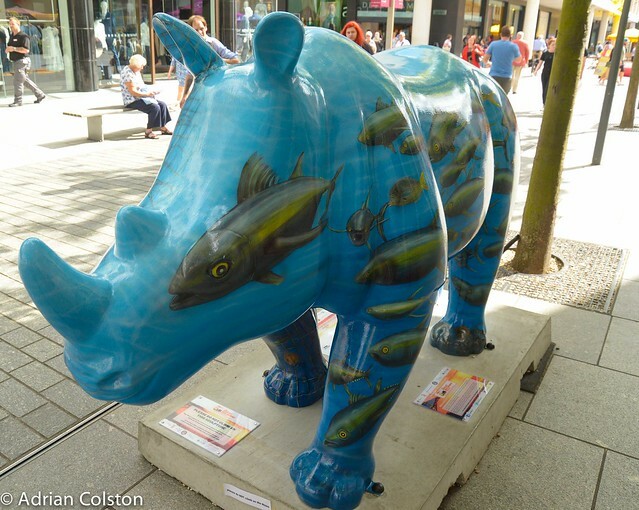 There is still time to see the rhinos in Exeter and Torbay (see here for details) – all part of a project to promote their conservation. 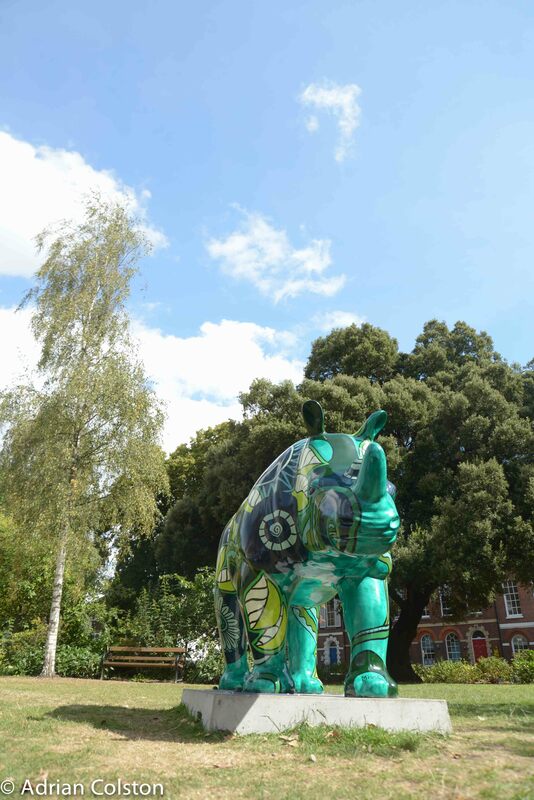 The rhinos will be out and about until the 9th October. 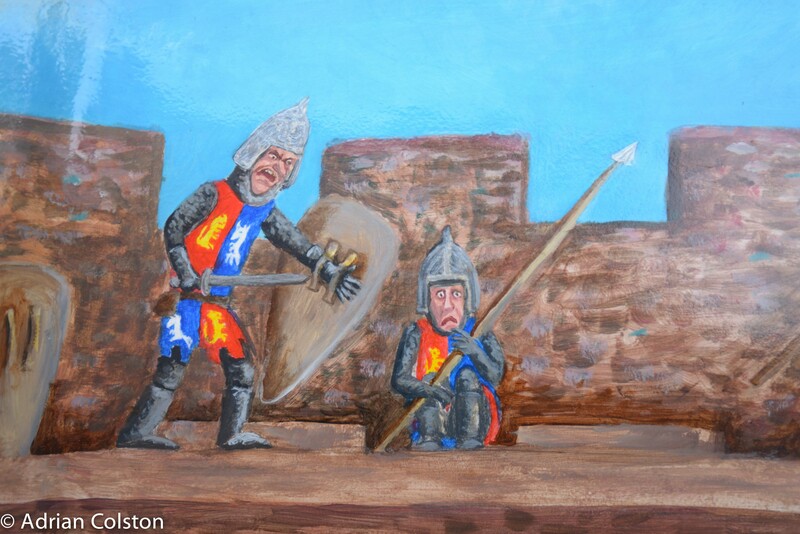 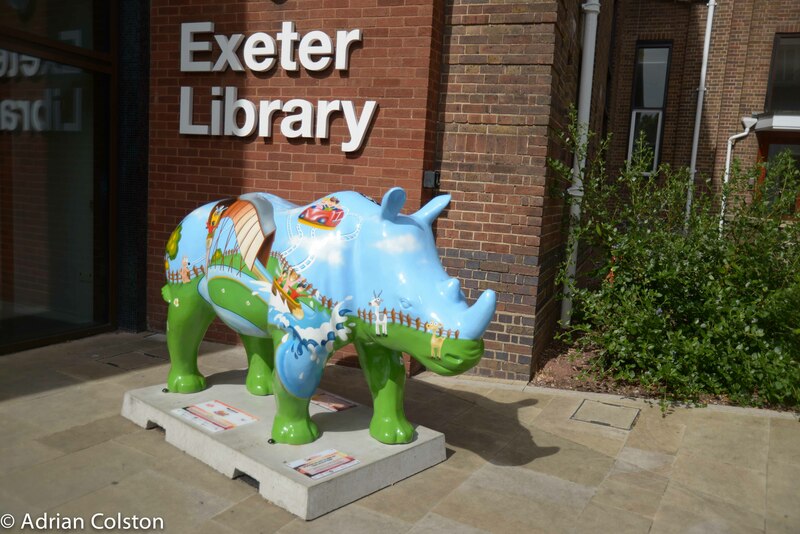 My diary tells me that I have put aside the 1st September to track down the Exeter Rhinos! 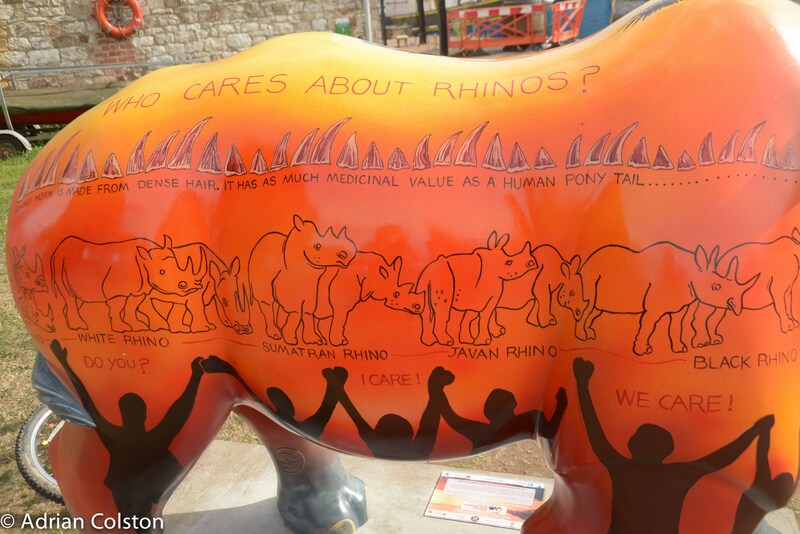 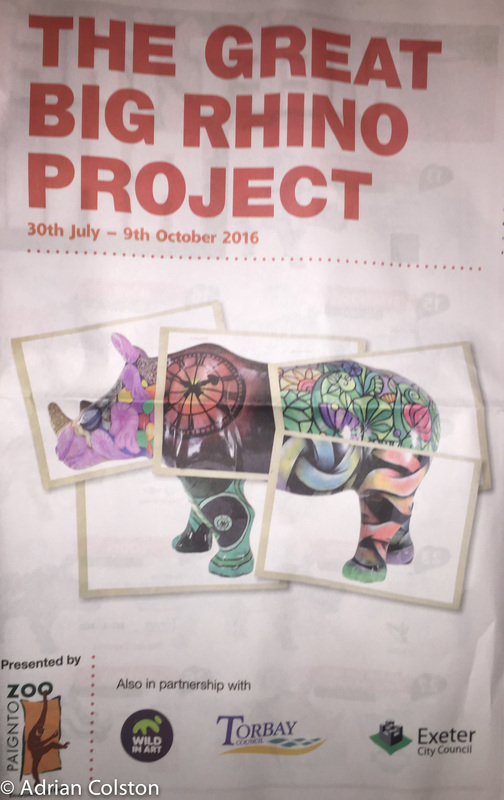 This is a conservation project run by Paignton Zoo and supported by Wild in Art, Exeter City Council and Torbay Council to help protect the rapidly dwindling rhino populations in Africa and Asia. 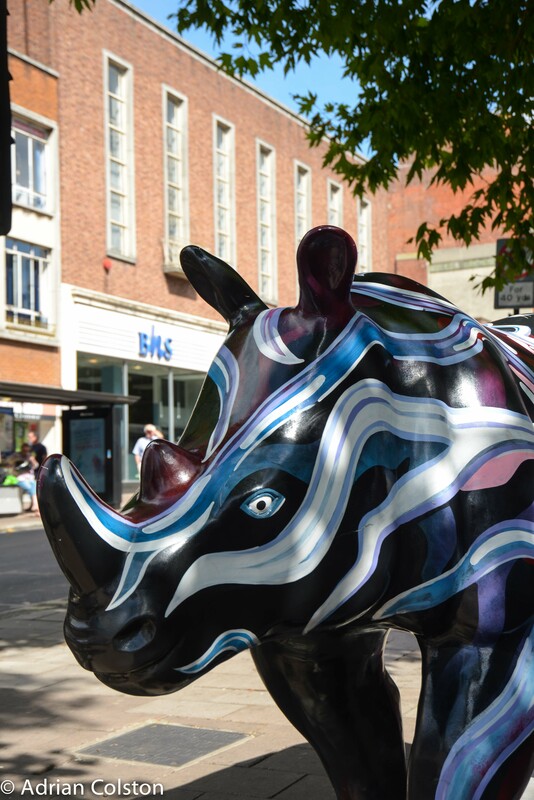 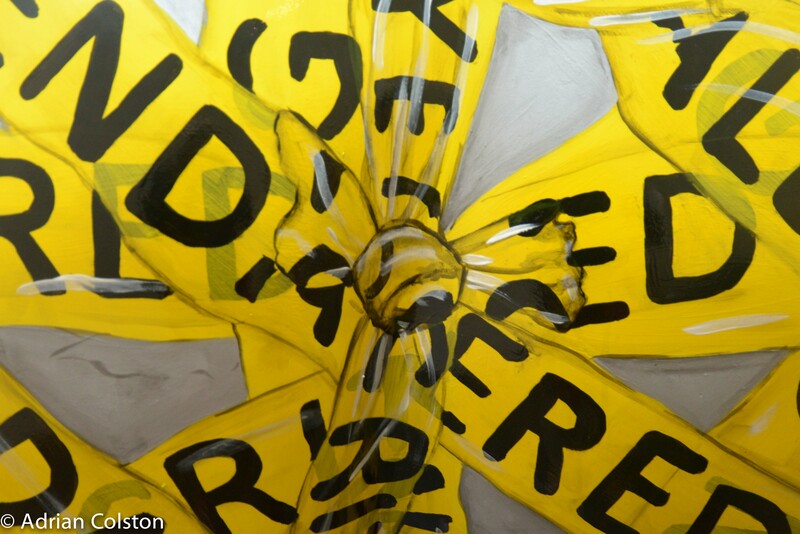 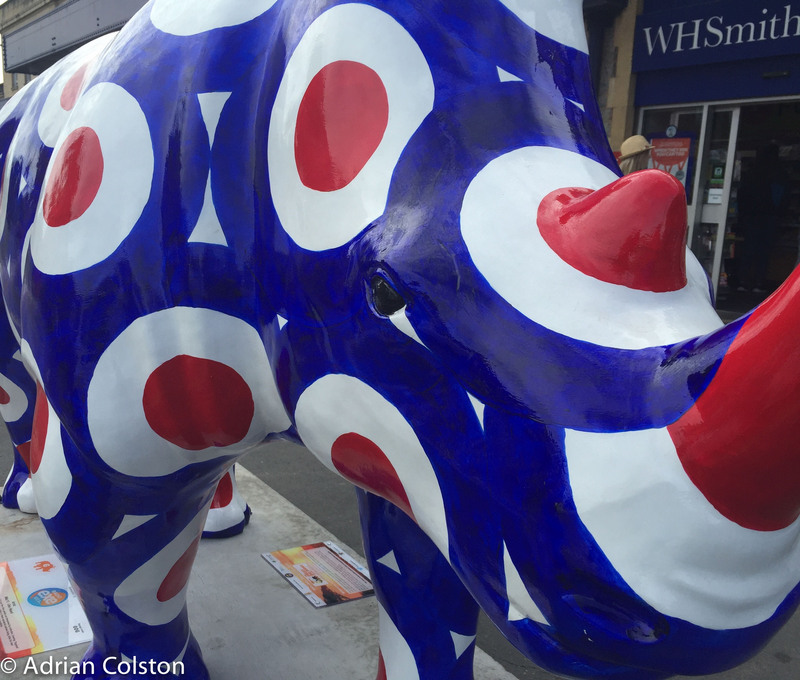 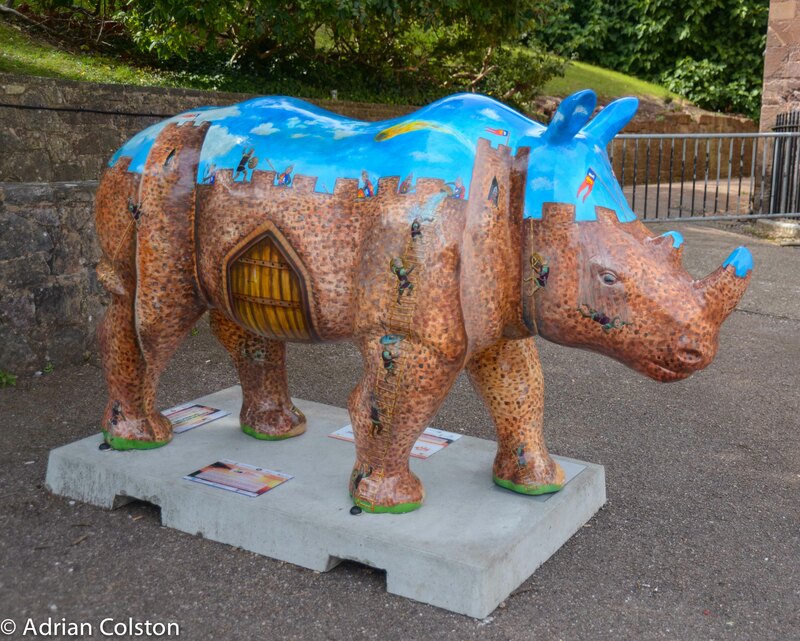 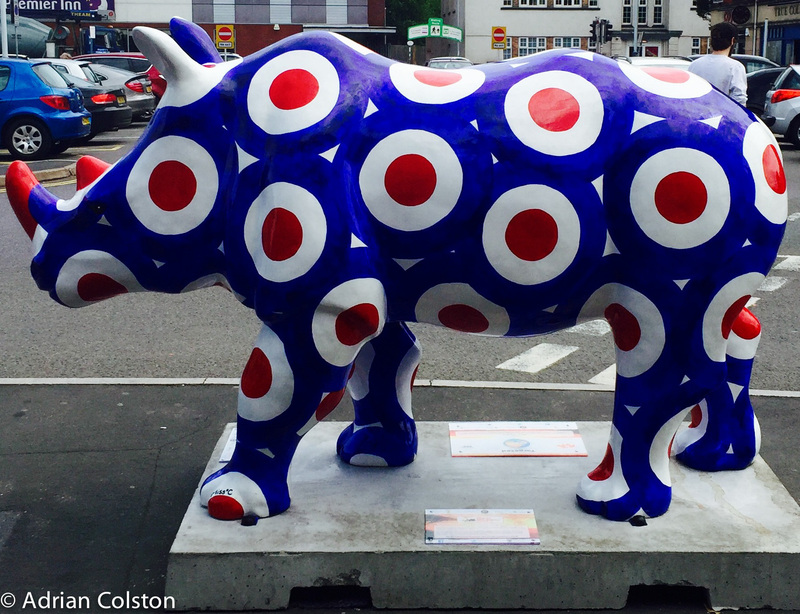 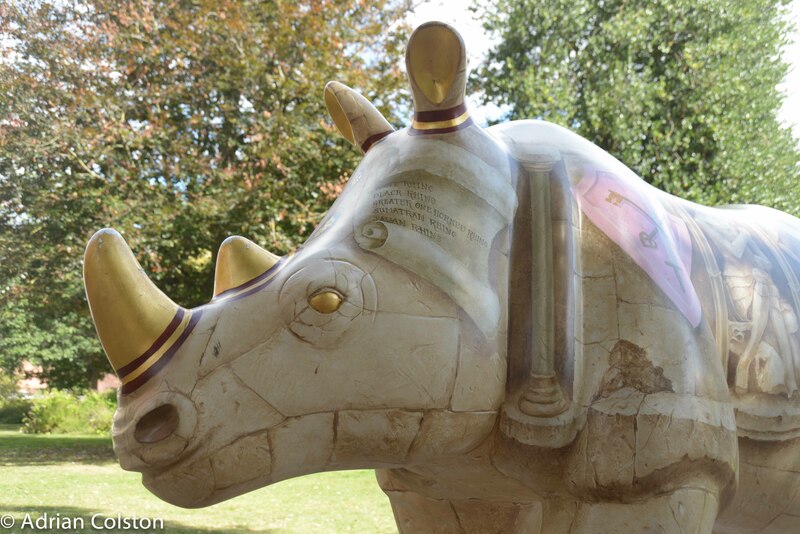 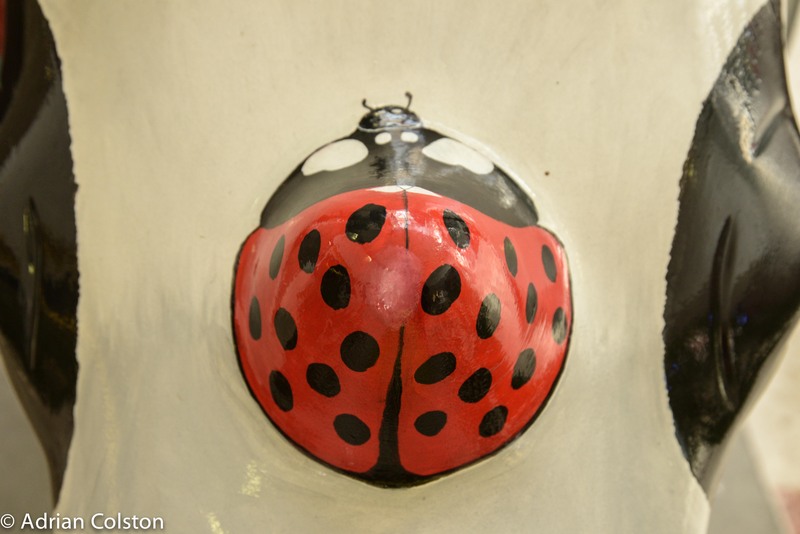 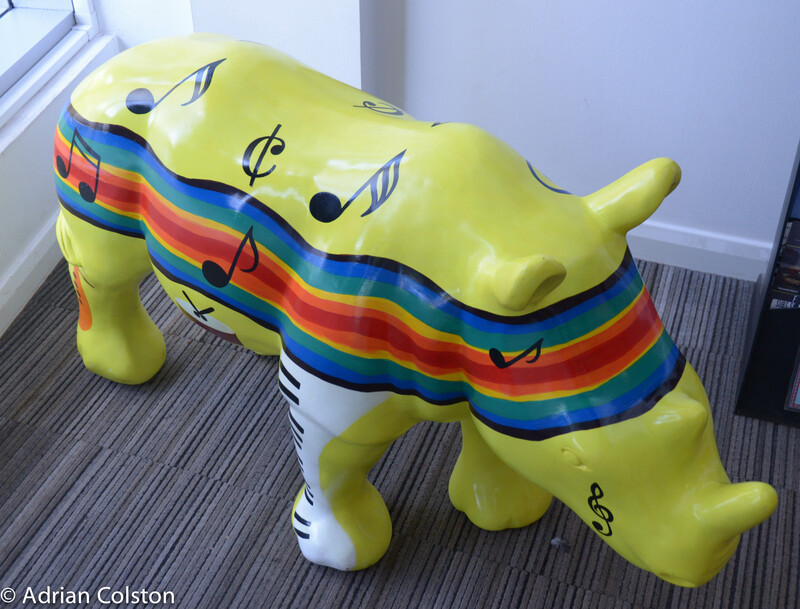 In essence there are over 50 colourfully decorated life size adult and baby rhinos dotted around Exeter and Torbay. 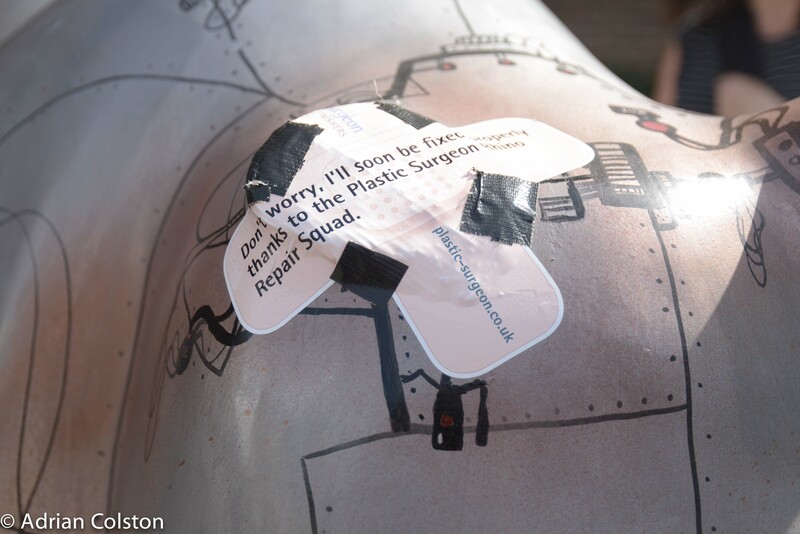 It follows on the heels on the 2013 project to highlight the plight of gorillas which I blogged about here. 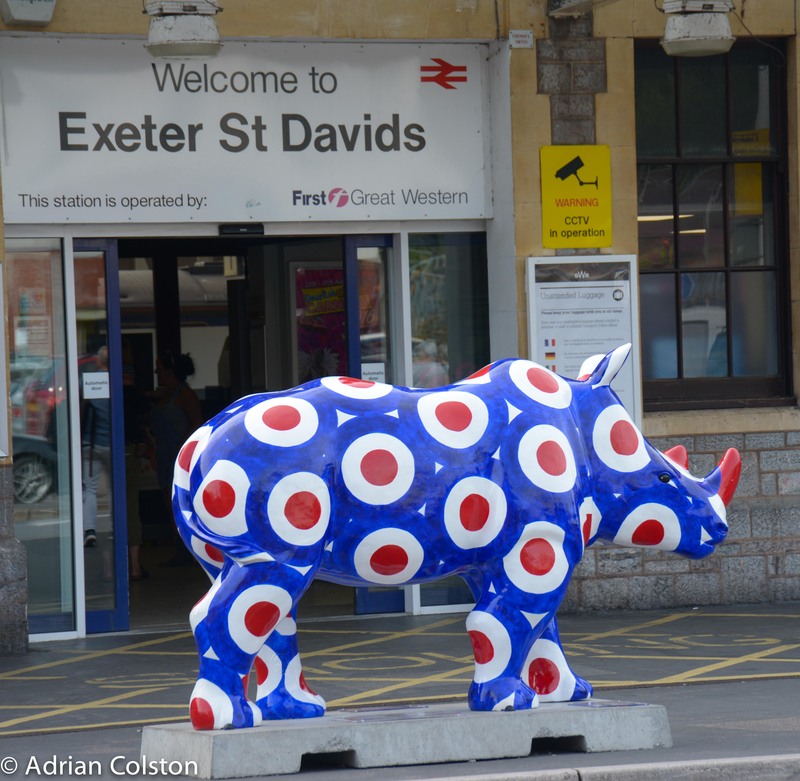 This one is called Target – RAF roundels, which look like targets and of course rhinos are targets for poachers. 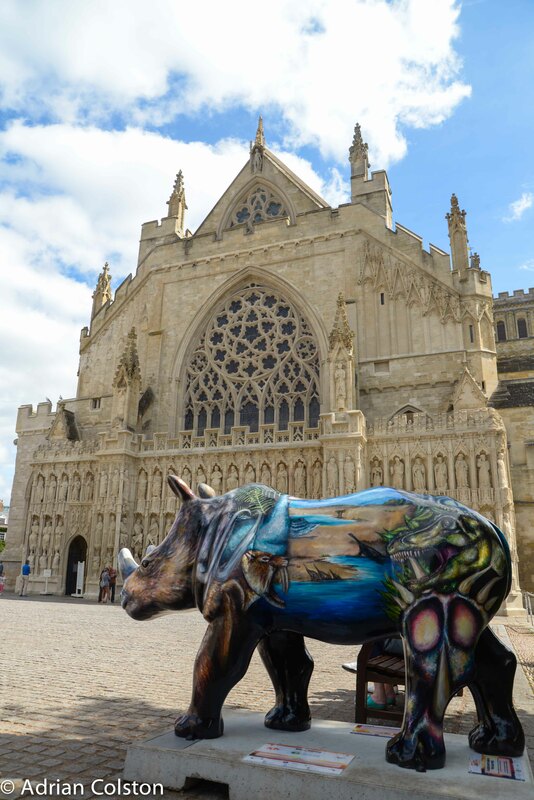 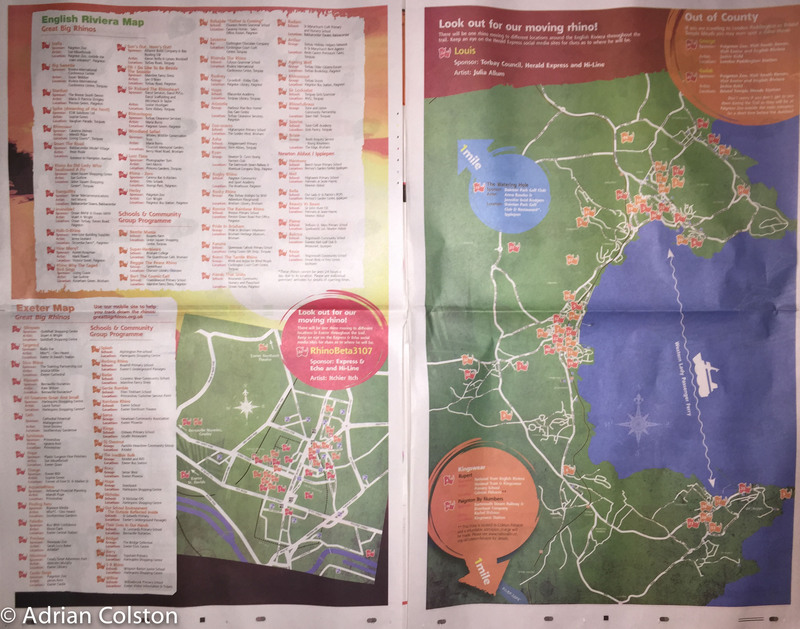 As this pull out for the Express and Echo states the Torbay and Exeter rhinos will be around until the 9th October – get out and explore you respective Cities and find the rhinos – support conservation and raise awareness. 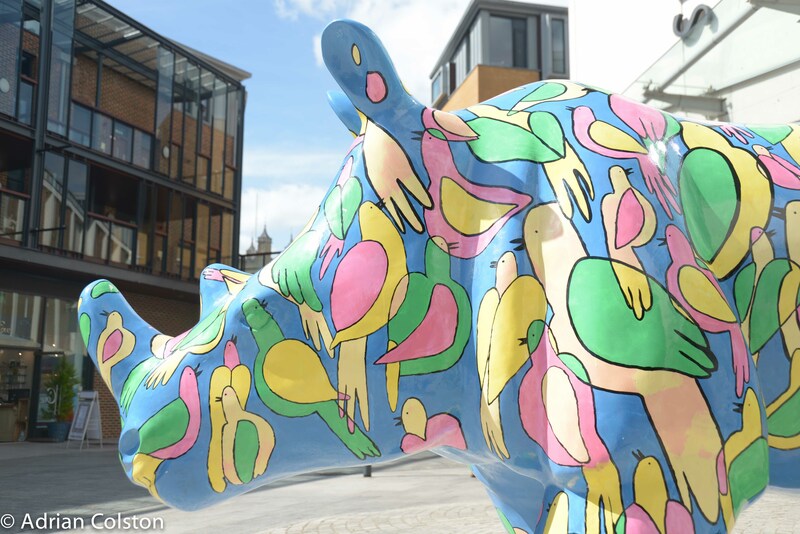 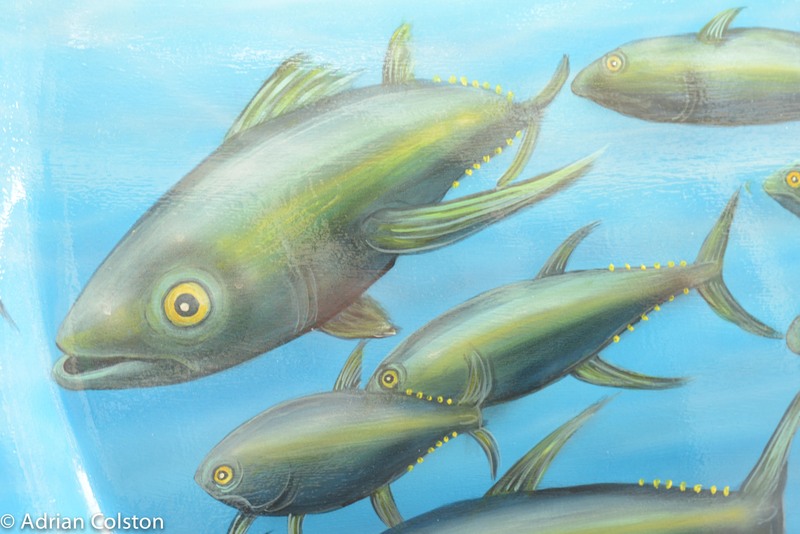 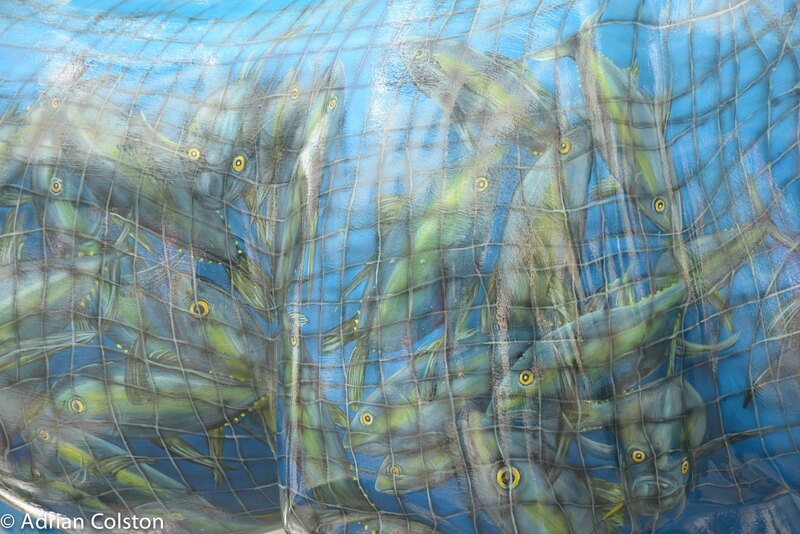 The artwork is of a high standard and it is good way to enjoy the summer.